For 15 Years I generated real estate home buyer and home seller leads on the internet using these very real estate SEO strategies. Our Real Estate SEO strategy is built around the idea of renting vs owning. Just like real estate, the world of internet lead generation has renters and owners. We see running highly effective pay per click campaigns as a short-term strategy, like renting. You pay per lead and once you stop paying you stop receiving leads. Whereas, Real Estate SEO is a long-term strategy that uses what home buyers and home sellers are typing into google, bing, and others to drive traffic to a website. In 2017, the focus is on quality, in-depth content as well as intentional technical refinement. In addition, to be effective with Real Estate SEO you must have an understanding of the conversion rates of the different IDX platforms. Real Estate SEO is much like owning because, in the beginning, you will not see much “equity” from the work you put in. However, over time the SEO builds on itself and continues to grow a client’s presence, traffic, and leads. Much like investing, Real Estate SEO compounds to the point that a website will continue to grow exponentially. As a real estate agent myself, I have intimate knowledge of the different real estate websites (including Real Estate Webmasters, Sierra Interactive as well as the many IDX plugin proividers) as well as how to use them to generate leads with them. As the real estate SEO experts, our team works with a focus on lead generation above all else. So every page we optimize will have had rich unique content that is designed to outperform the competition in terms of client engagement as well as any SEO standard. We have multiple packages that we are able to offer real estate agents. In fact, our programs are designed around accountability as well as being conscious of your budget. We are the real estate SEO experts and do not require you to get a new website for our job to work. Each of our packages includes the following SEO processes below and really only differ in terms of how fast you want the work done. Where does this site currently rank on the search engine? Where does this site get it’s traffic? Is there anything in the site’s architecture that is going to stop our progress? Do we need to implement any changes that would require a 301 Redirect and how easy/hard would that be? In addition, to answering these questions, we do the following in stage one. Create A Unique Content Framework – A Framework is a unique content “template. It’s part User Experience (UX) and part SEO engineering. Each framework is custom designed to fit the needs of the client. Think of it as an outline that gets reused and is designed to work within the parameters of your own website. Identify Cornerstone Content – This is a massive handcrafted and 100% intentional 2,000+ word page with everything a potential real estate lead would ever want to know about an area. We use the words that are being searched for to create the content. Local SEO Review – We go in depth in describing what local SEO is here. Essentially, this is a mobile first and map search that is separate from your usual search engine optimization. Stage 2 is where the client begins to see the work take place. Just like building a home, the plans were drawn up in Stage 1 and in stage 2 the foundation is poured. We begin working on the cornerstone content as well as the SEO long tail keyword phrases. We do this with our client’s input. We maintain that we are Real Estate SEO experts but we do want a high level of communication from our clients. In this stage, it’s all about content and growing the real estate website’s traffic and influence. It’s also during this stage that we begin working on Local SEO for the client. This involves submitting the client’s information manually to different directories (Google My Business, Yelp, etc) and tracking the progress of the submission. In addition, this gives us the opportunity to monitor reviews from these directories. The home building analogy might be wearing thin here, but ultimate that’s what we do. 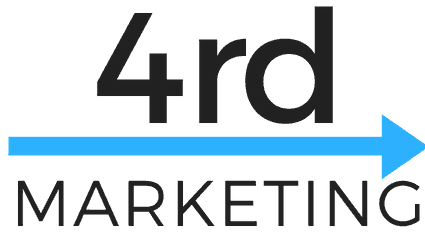 As we continue to build content (this is ongoing and should never stop) we begin to work on attracting links to your website. In addition, we begin engaging in social media platforms and create “shareable” content. Content that you are proud of and has a ton of real estate SEO value. This is the stage where we are actively blogging for you and continue our local SEO efforts. We continue on this process. As time goes on, we’ll continue to build on this great foundation. Clients will often see small results in 90 days or less but will experience an more explosive growth in 6 months or more. In addition to the 2,000 words that are hand crafted and intentionally written. 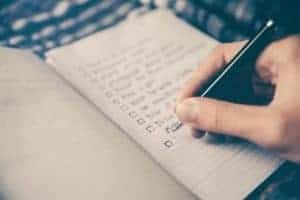 We analyze on-page content in the following ways. Keyword Density – Even in 2017 we still use this SEO Metric, although now we look for keyword phrases more often than one word. Real Estate SEO is different from regular SEO because you are going up against multi-million dollar businesses all designed around the same goal as you… generate leads. In order to be an expert in real estate SEO, you need to understand the real estate business AND SEO. How Long Does Real Estate SEO take to notice the effect? Typically, you’ll notice a big difference in 3 months but won’t see the lead flow until 6 months. A lot of it depends on the size of the site, the competition and the amount of traffic possible in a given area. How Many Real Estate Leads will I receive from Real Estate SEO Services? It depends. Ultimately, it’s about the amount of available traffic in a given area for a keyword phrase. However, it’s not always correlative. 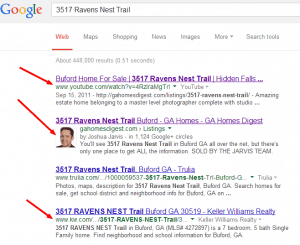 In our above example, the keyword phrase “Atlanta Homes For Sale” got 4,400 searches. However, if you’re ranking on page 2 for that word you’re only going to get a small percentage (approximately a shot at 3.99%) of that traffic. Assuming your site got ALL of that (unlikely) that would result in 175 visitors with a 5% conversion rate that would be 8 Leads. Now this doesn’t sound too exciting, does it? This is why you want a real estate SEO Expert! You want someone who knows how to go after that traffic, go after other opportunities as well as options to increase your conversion rates. Our typical client will start to receive over 100 leads per month within our first 12 months. All the “mega” teams are buying leads via Pay Per Click (PPC), why is this better? It’s owning the leads vs renting them. Let’s say we work for you for a few months and you decide it’s not reaching your ROI. You still receive the leads long after the work. It’s a lot like a train. It takes a long time to build up the momentum but once you’re done the site still has all that momentum. Ultimately, it’s much easier to spend $2,500 on 100 leads a month from a vendor than it is to spend that same money (usually less) for 6 months or longer and not see the same results. Again, real estate SEO experts goals should be on driving the cost of the lead down. The ROI doesn’t look good in the beginning, but long term it pays off big time. 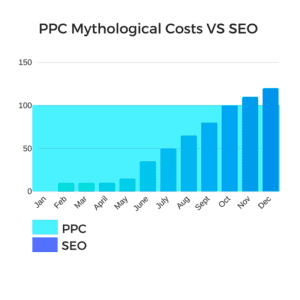 In addition, the thought that PPC is a guaranteed number of leads per month is a myth. What IDX System do you work with for SEO? We work with Real Estate Webmasters, Sierra Interactive, as well well as wordpress sites that features DSIDXPresss, IDXBroker, Showcase and others. What should I look for when selecting IDX for SEO? We’ve seen horrible Iframed websites do well with the right SEO effort. However, the best IDX for SEO is one that embeds the listings right in the webpage. Real Estate Webmasters and Sierra do this. This is also good for lead conversion. What’s the worst IDX when it comes to Real Estate SEO? While their websites convert at a high rate, Commissions Inc and Boomtown has the worst design for SEO purposes. They are world class when it comes to conversions and client management, however. Do you build Real Estate Websites? I’m so glad you asked. We do by request and are currently working on custom themes at the moment! Do you offer any Real Estate SEO courses? Yes! We will be offering a full course. You can sign up here. This SEO Local post explains it best, however, it’s optimizing your business to appear on mobile searches, maps, and location-based searches. It also consists of leveraging your business information on search directories like Yelp, Google and YP. What tools do you use with real estate SEO? 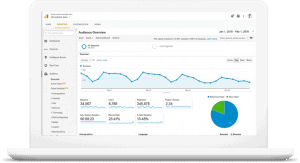 We use google analytics, google search console, as well as a few other tools to help evaluate if our effort is going well.